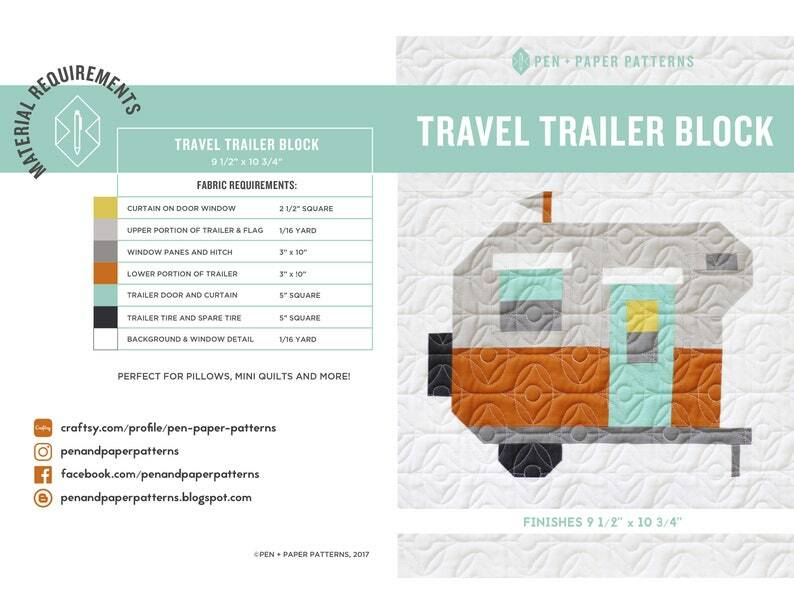 Listing is for (1) PDF Travel Trailer Block Pattern. 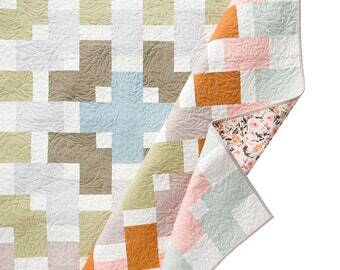 This block is traditionally pieced - with the exception of the flag portion which is paper pieced. Alternate instructions for leaving the flag detail out are included. Block finishes 9" x 10 1/4". From the first time I saw this pattern I knew I needed to make one! The little snails are so adorable! This made an absolutely perfect baby blanket for my newest nephew. The pattern was fantastic. 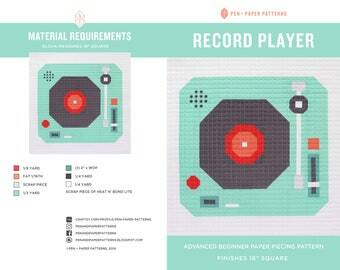 Easy to follow and very clear with a lot of detailed and well written instructions. 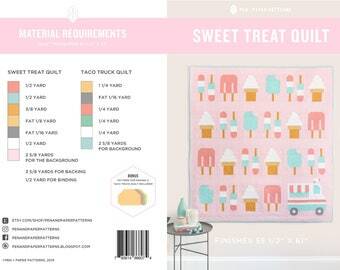 I can’t wait to make another quilt from one of your patterns!! 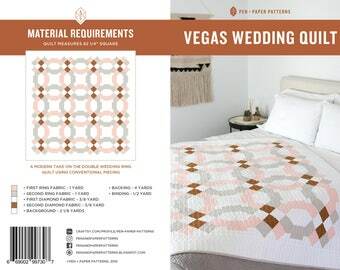 Great pattern with excellent instructions. First time doing FPP and it was easy (after a few tries)! 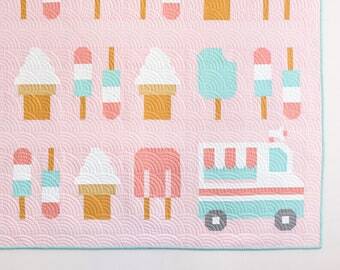 This quilt is too stinkin' cute. I love it. 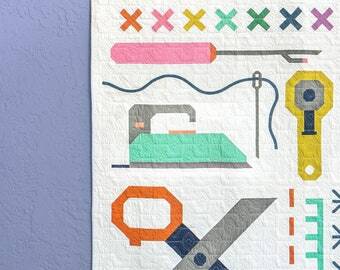 Great pattern with easy-to-follow instructions.